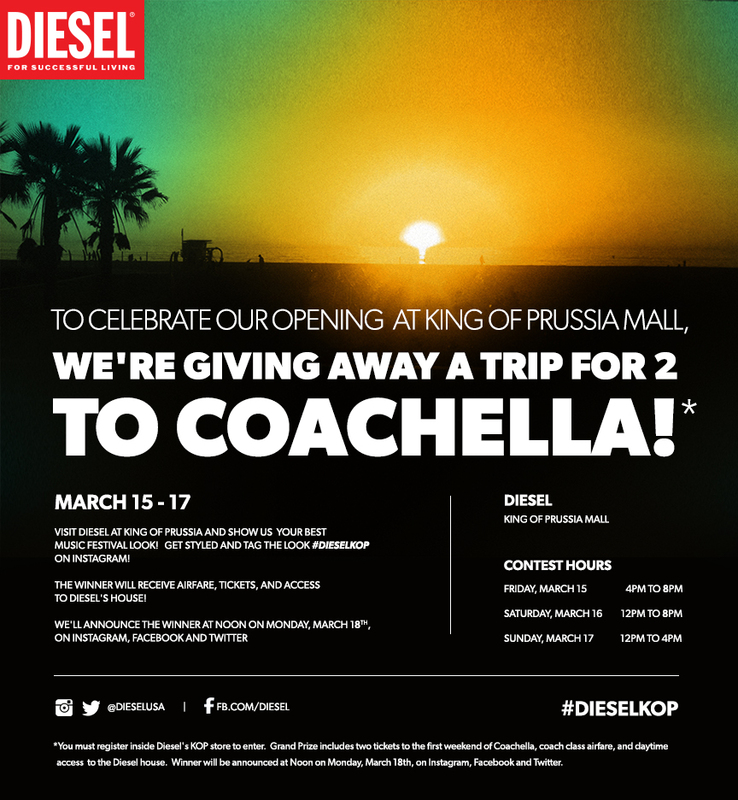 the new diesel store is now open in the king of prussia mall and they're inviting you [yes, you!] to come check them out, browse their fabulous ss13 line, and of course, try on all jeans. the grand opening event is going on all this weekend, march 15th-17th! i'll be there this friday, march 15th from 4:00pm-8:00pm with some fantastic phillyfabb ladies and i'd love it if you came out! but what does one wear to a concert? i am of the opinion that a fantastic pair of jeans will make you feel like a million bucks. and it happens that diesel has a brand new denim campaign that let's your jeans fit your attitude. so whether you're free spirited, brave, confident, chic, or spontaneous, there's a pair of jeans that will let you show it! here are 5 gorgeous options should you win the coveted coachella trip! if i had to pick a personal favorite, it would be the spontaneous. i can't get enough of the relaxed fit and that wash [swoon]... i've died and gone to jean heaven. i'll see you at dieselKOP this weekend! Dang girl, that leather top will have you smokin hot in Cali haha! Thank you so much for visiting my blog:)! Would you like to follow each other? Just leave a comment on my blog and let me know! Thanks:)!